Plans to consign barriers at the Tyne Tunnel to history have taken a step closer to becoming a reality. The ‘Tyne Pass Project’ - as it has been dubbed by operator TT2 - aims to do away with existing toll booths in favour of automatic number plate recognition (ANPR) system. It hopes this will ease congestion, smooth traffic flows and reduce air pollution. 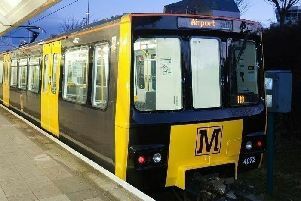 At today’s North East Joint Transport Committee’s Tyne and Wear Sub Committee gave the green light for transport chiefs to start work on the contracts and terms needed to make the changes a reality. Cameras have already been installed allowing drivers with pre-paid accounts to pass through without having to pay at the booth. But the upgrades could eventually see the barriers removed entirely, meaning any drivers without a permit on display will have their number plate scanned, allowing them to pay later online or over the phone. The plans have prompted some concerns from Newcastle councillor Joyce McCarty for motorists who aren’t able to set up an online account. TT2’s customer service manager Chris Ward said users would be able to pay their fees for using the tunnel in shops using Pay Point, a bill-paying service, if necessary. Mr Ward also gave an update on plans for drivers to use their mobile phones to access the tunnel. He said: “Everything is still on track for the phone app. “The app will be released on Monday. We’ve had a very successful trial with customers to iron out any problems and it’s got really good functionality for paying. The price of using the tunnel is due to rise later this month. The charges are planned to increase by 10p from £1.70 to £1.80 for cars and light goods vehicles and by 20p, from £3.40 to £3.60, for HGVs. Data for 2017/18 showed a decrease in the number of drivers using the tunnel, which is thought to be a consequence of work on the Silverlink Junction in North Tyneside. The latest numbers suggest a slight recovery in traffic levels, but still less than in 2016/17.